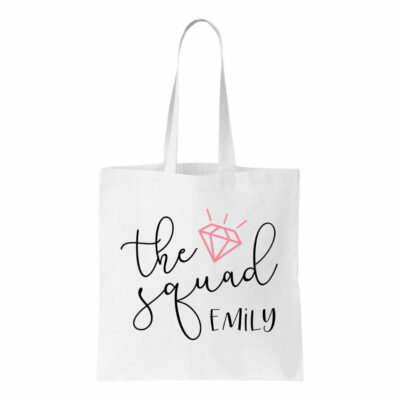 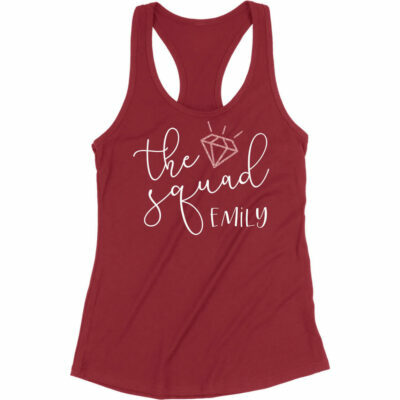 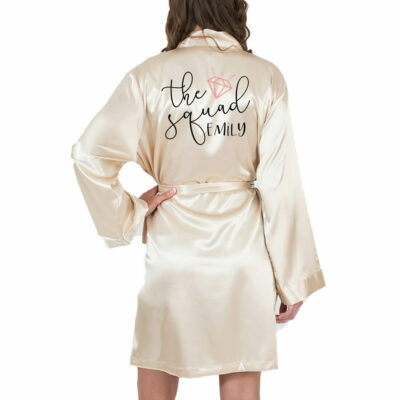 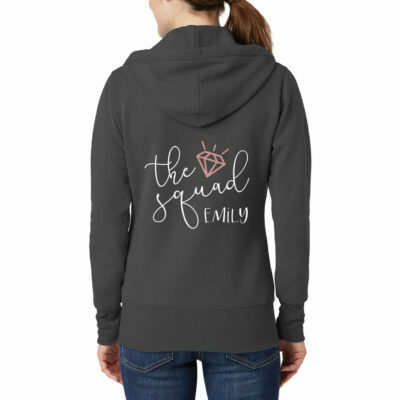 Full-zip bridal party hoodie with "The Squad" on the back with the recipient's name and a diamond accent in the colors of your choice. Available in Athletic Heather, Dark Heather Gray, Charcoal, Black, Navy, Red, White, Royal, Neon Blue, Neon Green, Neon Pink, and Neon Yellow. 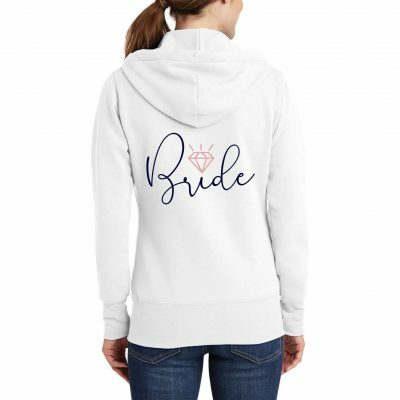 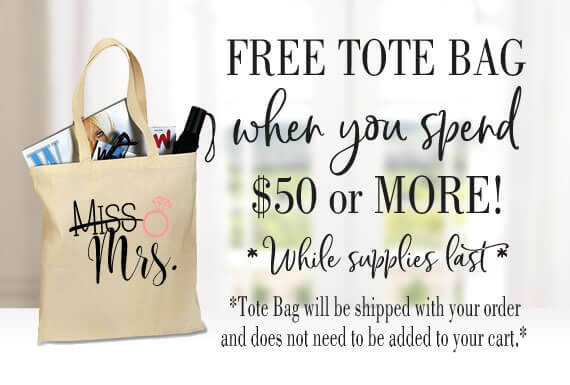 Available in Athletic Heather, Dark Heather Gray, Charcoal, Black, Navy, Red, White, Royal, Neon Blue, Neon Green, Neon Pink, Neon Yellow, Kelly Green, Dark Green, Dark Brown, Maroon, Orange, Sangria, Light Pink, Purple, Carolina Blue, Heather Red, Heather Navy, and Heather Royal.